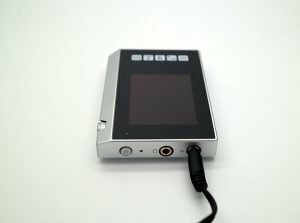 For some, the emergence of Digital Audio Player (DAP) seemed like a return to the days when our need for portable music was provided for on separate devices. The evolution started with portable cassette players, followed by the portable CD players, portable mini-disc player and finally MP3 players before it was integrated as a function of the smartphones. Why do we want to go back to carrying a phone and a portable audio player? The answer is because most DAPS as the dedicated source for your portable audio set up is streets ahead of most average smartphones. Through the XDP-30R, Pioneer seeks to provide an all-rounded DAP offering in a compact form factor. Weighing in at just 120g, the Pioneer XDP-30R is made from a single block of aluminium with dimensions measuring 94 x 63 x 15mm. It is available in black or silver. Arranged inside the DAP’s lightweight aluminium chassis in a symmetrical layout are twin SABRE ES9018C2M DACs and ESS9601K amplifiers chips powering outputs of between 16-300 Ohms (or 32-600 Ohms when used in BTL Mode) with the channel layout kept symmetrical to achieve better sound imaging. 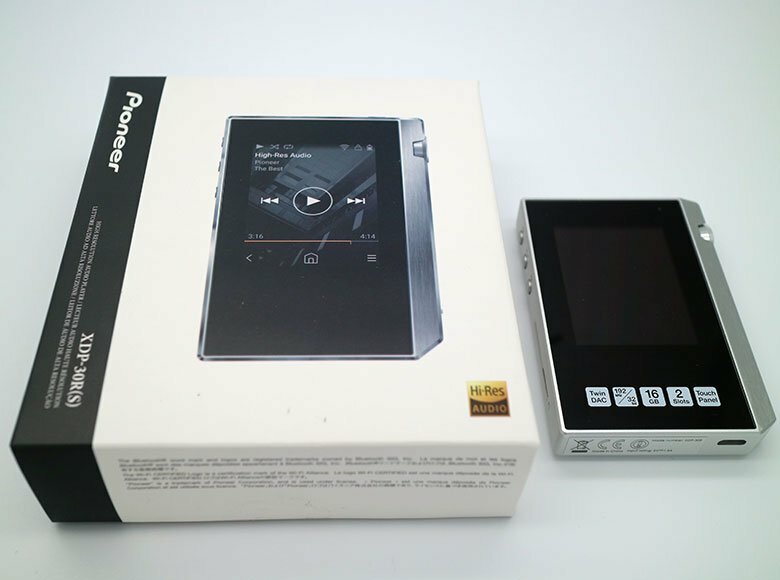 The Pioneer XDP-30R is a well-equipped unit which will play PCM files up to 32-bit/192kHz and DSD files up to 5.6 MHz, supporting most file formats including MP3, ALAC, WAV, AAC, FLAC, AIFF, and DSD. Pioneer has released a firmware update on the 12 of September 2017 enabling MQA playback on the XDP-30R. (Updated: 13 Sept 2017) Pioneer has also taken the trouble of specifying two clocks with automatic detection: one detects 44.1 kHz signals, scaling to 88.2 kHz/176.4 kHz, and the second handles 48 kHz signals and up samples to a maximum 192 kHz. Those who are more technically inclined would know that this will reduce jitter errors, and result in better sound quality. The XDP-30R features both a 2.5mm 4-pole jack (balanced) and a 3.5mm jack (SE), with the balanced output which eliminates crosstalk and improves stereo separation, supporting both BLT (Bridge-Tied Load) and ACG (Active Control Ground). BLT provides increased power which is repurposed to create increased stability for a clean signal and greater sound clarity, especially when compared to unbalanced drive while ACG gives greater stability through increased S/N Ratio which results in taut and clearly defined low-frequency sound, enhancing overall clarity and spatial dimensionality. The unit’s wireless capabilities include Wi-Fi 802.11n dual-band, enabling one to stream from built-in services; Deezer, TIDAL, and TuneIn are currently supported, as well as and Bluetooth with A2DP, AVRCP, and SBC profiles. Pioneer has said that further support for other streaming services will be via future firmware updates as and when available. 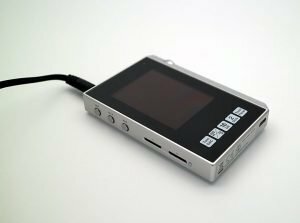 The DAP features a 2.4-inch scratch-resistant touchscreen, a volume knob on the right, the play/pause, forward and reverse buttons as well as a pair MicroSD slots on the left. I am of the opinion that while the touchscreen is on the small side, it is responsive and usable. However, with a screen resolution of just 320 x 240, the display is a tad bit blocky for me to enjoy, I have found myself mostly using Pioneer DuoRemote on my Smartphone to control the DAP via Bluetooth during the review process. The MicroSD slots allow one to boost the ungenerous built-in capacity of 16GB by another 400GB of memory when utilizing two 200GB MicroSD cards with support for higher capacity cards possible via firmware upgrades when they become available. For individuals who would occasionally plug the player into an amplifier, the line-out feature is available on the XDP-30R and supports bypassing the device’s volume control, allowing the amplifier to have master control to the volume. 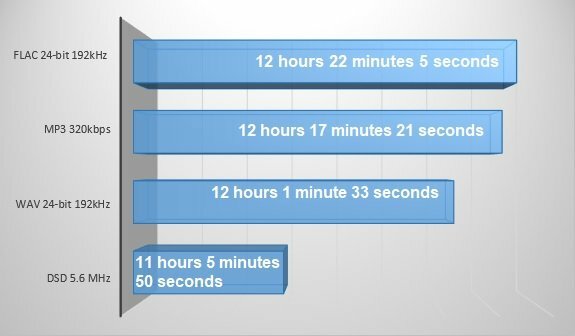 The figures are indeed impressive for a device with a battery capacity of only 1,630 mAh. In the custom OS, Pioneer offers a number of filters and EQ settings which will not dramatically change the audio output but provide minor tweaks to realize individual expectations we have. I am a believer in compatibility matching between sources such as DAP and earphones such as headphones, IEMs or earbuds. During the review process, I have audited the Venture Electronics Monk+ earbud, the DITA Dream IEM, and the Pioneer SE-Monitor5 headphone on the XDP-30R, and the DAP was able to power all 3 earphones without any problems. During the audition, it was evident that the DAP performs better in the balanced mode than the single-ended mode with the balanced mode featuring better sound staging and sound separation. The DAP is generally musical with no lack of details and dynamism with competent vocals. The only thing I do not like the sound signature is that it is too smooth; details are smoothed a little bit too much for my liking resulting in a pleasant but not resounding experience. Priced at SGD 629, the Pioneer XDP-30R comes in a no-frills package sporting just a screen protector and a USB cable as part of the standard package. The Hi-Res Audio certified DAP is a competent all-rounder packed with features commonly found in higher models. This coupled with its ability to power an array of earphones and impressive battery life even when playing back DSD, makes it a worthy candidate if you like its sound signature and do not mind the blocky display. This review unit is provided by Connect-IT by Jade Gift Shop. Previous articleHi-Res Audio vs. Hi-Res Music – Are they the same?